Sanford Harmony is a social-emotional teaching program for inter-student relationship building in classrooms. 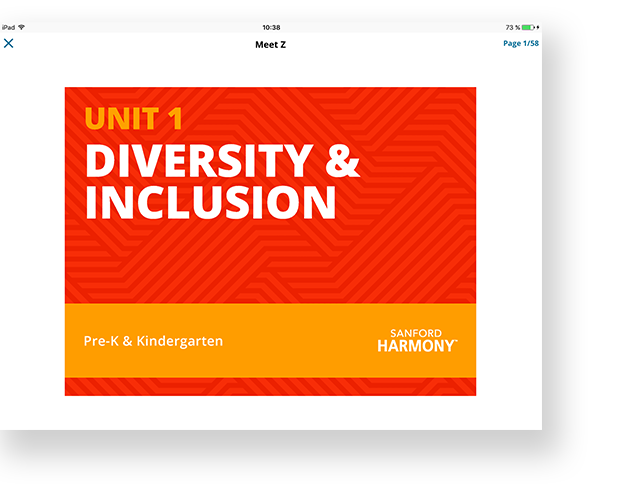 NUS was seeking to build tablet applications to digitize their Sanford Harmony social-emotional teaching program (it originally was paper-based materials in the classrooms). They were hoping that the apps would contain the teaching content (Storybooks and Quick Connection cards) to be used by teachers in the classroom, and for students/parents to have access to at home. They needed a way to digitize the program materials from paper to digital. We started with Project Go to better define scope for phase one, and to create initial wireframes for the app. During phase one we built a cross-platform (Ionic) tablet app for iOS and Android. 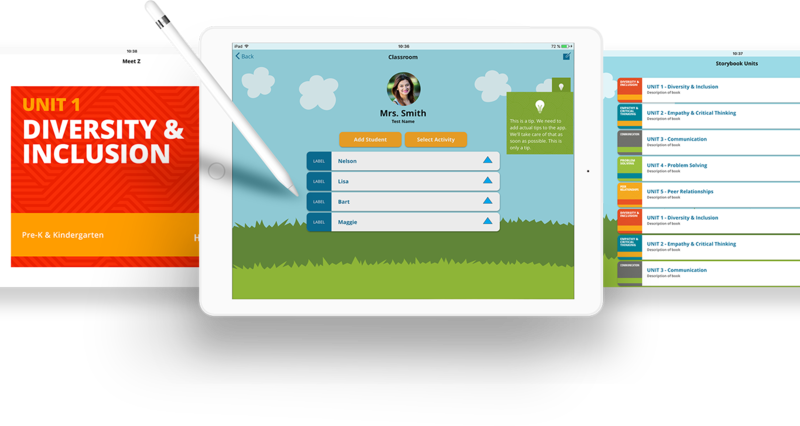 Version one of the app only catered to Pre-K through 2nd grade classrooms. 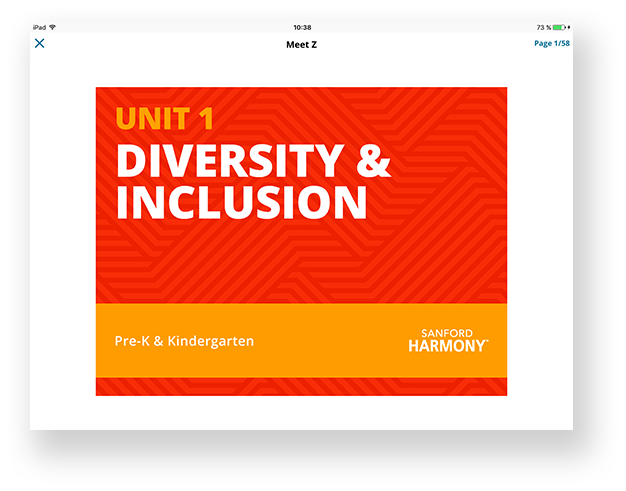 It included Sanford Harmony’s content (for Storybooks and Quick Connection Cards), including audio recordings of all Storybooks, the ability to keep a list of classroom ‘Harmony Goals’ for the year, and assign Quick Connections Cards to pairs of students. Scope evolved throughout the design and development processes. We initially had planned to build out access for four different types of user personas (all with varying access to different features). 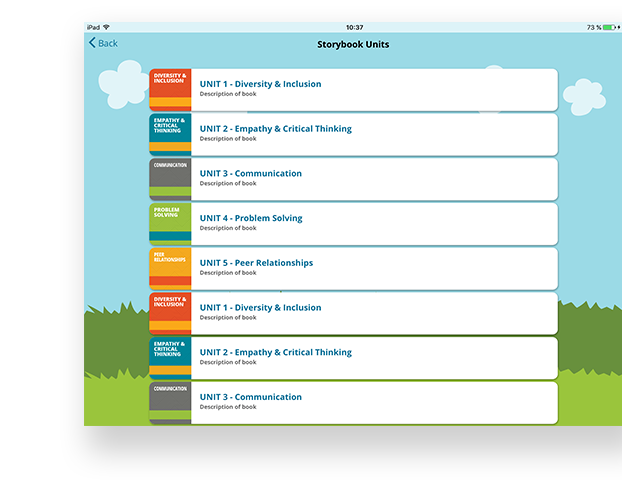 We eventually de-scoped two of the personas, resulting in an app that could be logged into as a Teacher or a Student (to be used in the classroom and/or at home). Students can only access the Storybooks. 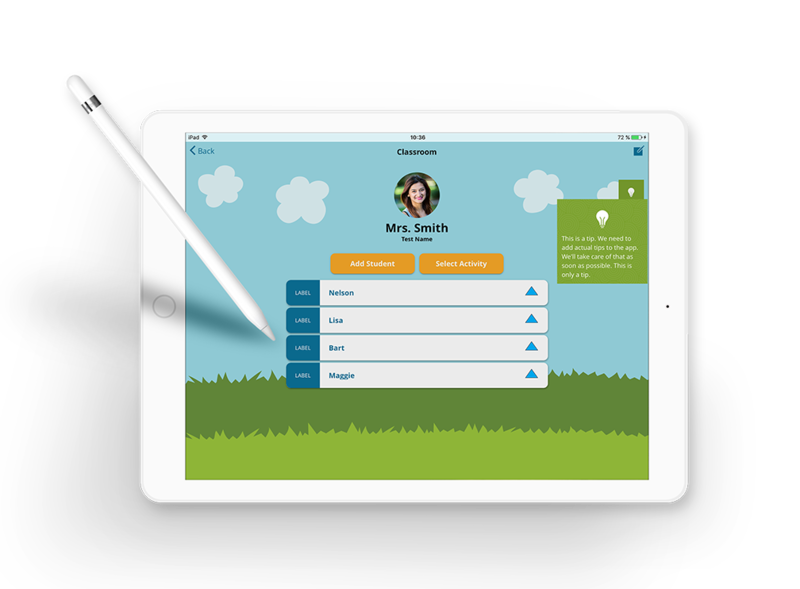 There are two separate dashboards depending on the user's role whether you are a teacher or a student. Below is the process as one would login as a teacher and what to expect once logged in. 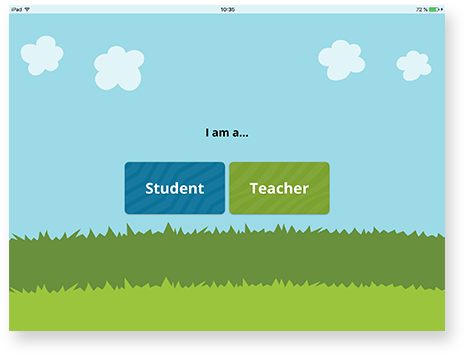 When the app is opened, the user can select whether they are a Teacher or a Student. The user logs in and is brought to a list of their ‘Classrooms’, where they can create new ‘Classrooms’ for each class they teach. 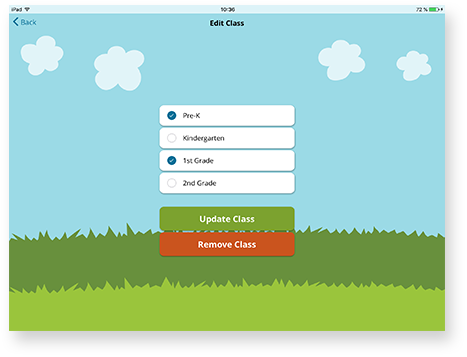 The user selects a ‘Classroom’ and can view/edit a list of student names for that class, and then select an activity for the class. The user hits ‘Select Activity’ to choose an activity to do with that class. 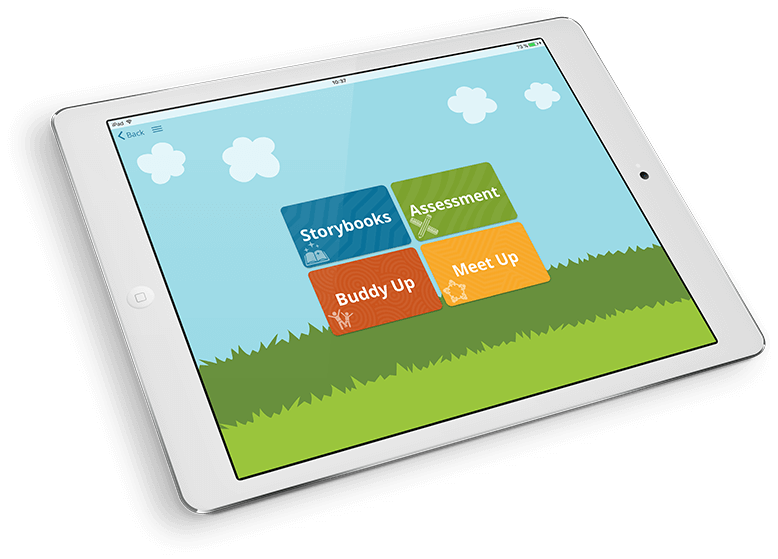 The user is brought to a dashboard with 4 activity options: Storybooks, Buddy Up, Meet Up, or Observations. 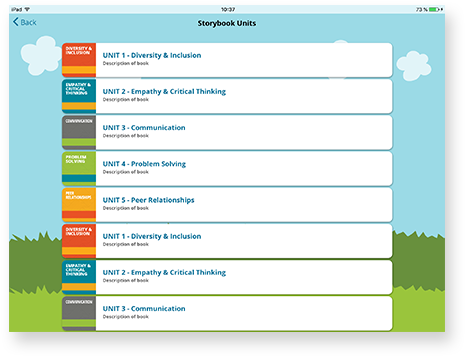 The user is presented with a list of Storybook Units - each Unit focuses on different aspects of social-emotional learning. Within each Unit, there is a list of Chapters - each Chapter contains a story related to the Unit topic - there are different Chapters for Pre-K & Kindergarten classrooms vs. 1st & 2nd Grade classrooms. 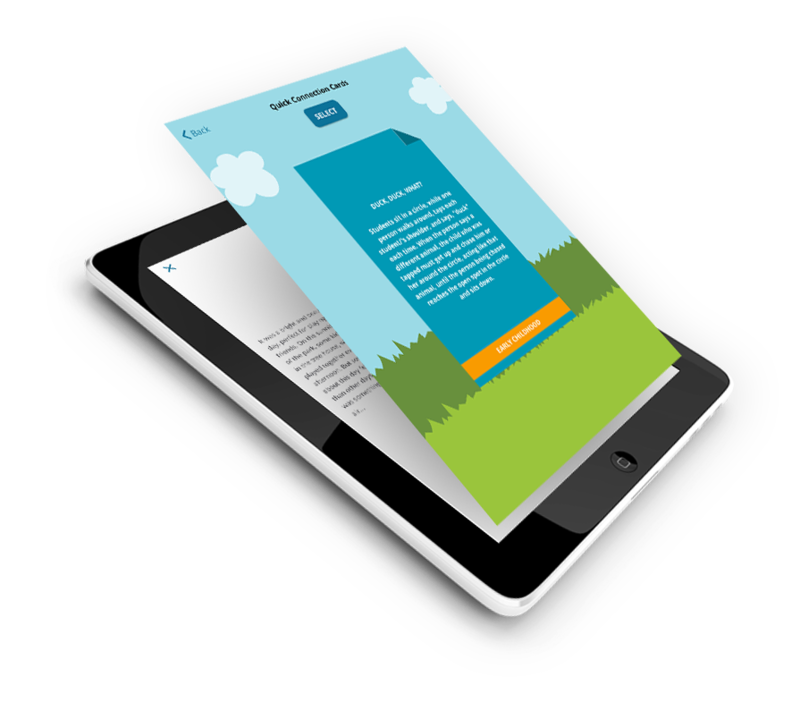 The user can open a chapter and manually flip through the pages (which includes text and images) with/without pre-recorded audio. 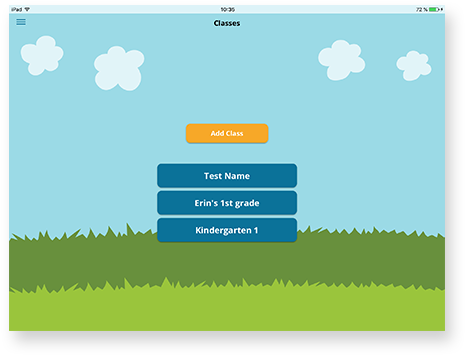 The user is provided the class roster and can drag-and-drop student names into pairs. Each pair can be assigned a Quick Connection card so the teacher can keep track of which cards are assigned to which students. Once all pairs have been assigned a card, the user hits ‘Start Activity’ to start a timer (so the teacher/app can track how much time is being spent on that activity). After the user stops the timer, the app asks if they want to record Observations now or later - selecting ‘Observations’ will bring users to the Observations page (see #7); selecting Later will bring the user back to the Activity dashboard. The user is brought to a page with a ‘Harmony Goals Board’ where they can add Harmony Goals for the class from social-emotional activities/discussions. The user clicks ‘Select Card’ to see a list of group-based Quick Connection cards to be used for class discussion. The user selects a card then presses ‘Start Activity’ to start a timer. The user is brought to a list of all student names that have been added to that class. The user selects a student, then is brought to a list of ‘Observation Criteria’ (all criteria are related social-emotional learning). Within each Criteria, there is a number of behavior examples that the user can mark ‘YES’ if that behavior has been observed by that student that day. The user logs in by entering their class ID (provided to them by their teachers). The user is brought to a list of Storybooks associated with their Class - there are Storybooks for Pre-K & Kindergarten, and another set of Storybooks for 1st & 2nd Grade. Each class ID is associated with one or more grade levels, and the proper Storybooks appear based on this association. 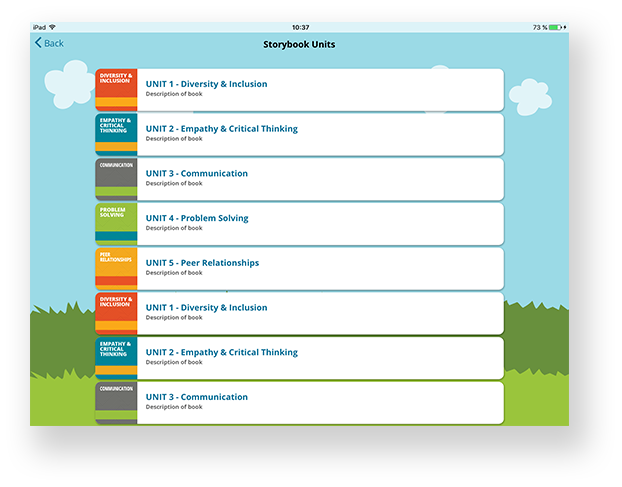 The user can select a Storybook Unit, then a Storybook Chapter. This project was unique because we needed to be careful with the privacy for students. So student names in the Class Roster do not carry over from device to device - the names are only stored locally. This means a teacher needs to use the same device every time they work with a class, in order to avoid re-adding the student list every time. 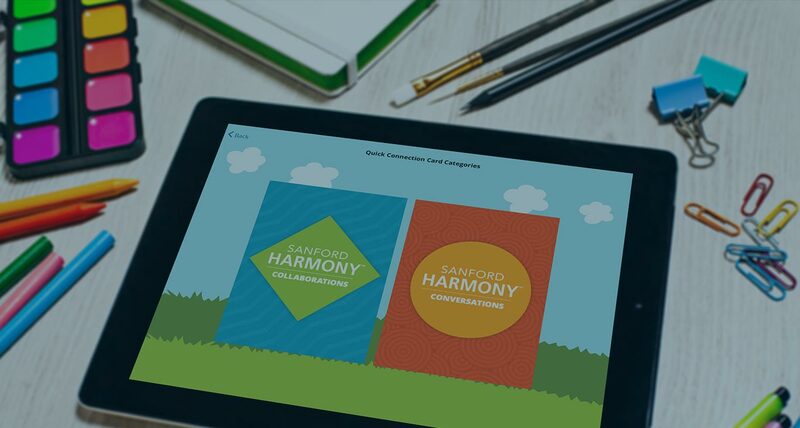 This app will be used by teachers in preschool and elementary classrooms across the country that are registered with the Sanford Harmony program. 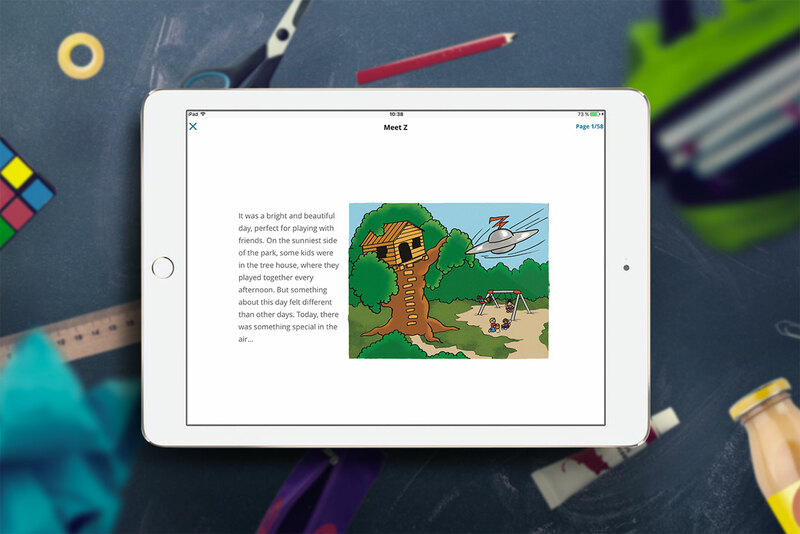 Students and/or their parents can also use the app (Storybooks only) at home. Users will benefit by having a tool to teach social-emotional learning in classrooms and at home.